LOL Happy Valentine's Day, Yoda! Lovelier and my fave kind of cards. My children are 16, 14 and 8: and I still remind them, "no store bought cards, remember. NEVER." It's odd- I feel no need whatsoever to recognize Valentines this year in any concrete way. I think it's because lately I have felt like every day is Valentines in some way. But I am loving the Valentines I see all over the blogs. This one- oh my heart. And what did Mama get? Happy Valentines Day, you lovely Rosenbergs. 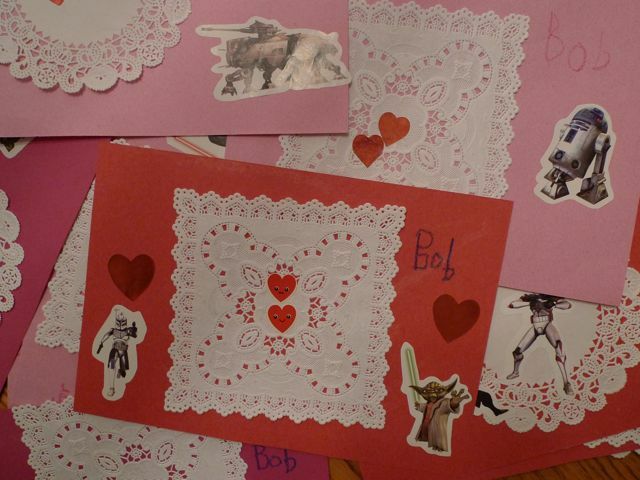 Valentines cards make you did.